My love with miles and more since I said yes to the World | Me, in Me. As the only son in the family, I never had the opportunity to travel anywhere outside. All my childhood went with just playing inside my home. Add to that, the moment I was out of college, my journey to work started. Little I had chances to travel. Well actually, I did travel for work. But all my travel was just inside Chennai making visits to client places around Chennai. With the whole day travel in my RX100, or even using the poor mans Ferrari – I mean the Auto, I did not enjoy the travel. This is not the kind of travel I loved to do. So, these travel did not open up me for this was just work. But once I moved to a new company in 2000, and same travel started happening in here I was so happy. The need to travel did not change. The purpose of travel stayed same. But the fact that the mode of travel was no more the regular transport on the ground made the whole business of my travel wonderful, fun and exciting. But, was missing just one thing. It was my family. I could not spend time with my family. Have never taken them out on foreign trips. This thought was always in front of my mind every time I did a travel. 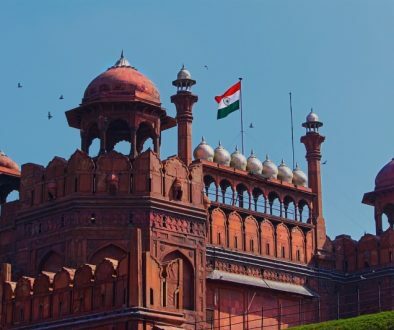 Imagine, even today with the Indian passport, you know how many countries you can visit without a Visa. Imagine 20 years back? I was forced to change 3 passports in a span of 5 years. Interestingly after I got my first passport it was lying in a corner for next 6 years. I literally forgot that I did have one. And in the span of next 5 years, I got my third passport. Yes, every passport was running out of pages due to the number of Visas. So with such a profile, and making sure I travel most times in Singapore Airlines & Lufthansa, I started accumulating miles and miles. I was enrolled in Lufthansa’s mileandmore program. Since they both were partners of Star Alliance, it was easy to accumulate miles. And in a couple of years, I had enough miles to get a ticket for 2 around Asia. Happily, we narrowed down to Thailand. Free tickets from Lufthansa, 5 days of vacation, staying in a place with a completely private beach, and what not? Is there a better way to celebrate one’s birthday? Thanking my Star & Of course the Alliance, we prepared for the travel. And when I noticed this contest from Lufthansa for #SayYesToTheWorld, I was like – What a fantastic way to participate? And here I am back with those memories for you! Sharing my experience in the Land of Smiles! Since Bangkok, Pattaya, Phuket etc was a regular destination I decided to check out something more private. Far away from the crowds, still a cute place to enjoy just with your family. And the destination was none other than Phi-Phi Island, Hollywood’s favorite beach. With all the excitement, we reached Bangkok Suvarnabhumi Airport, took a bus to Phuket. 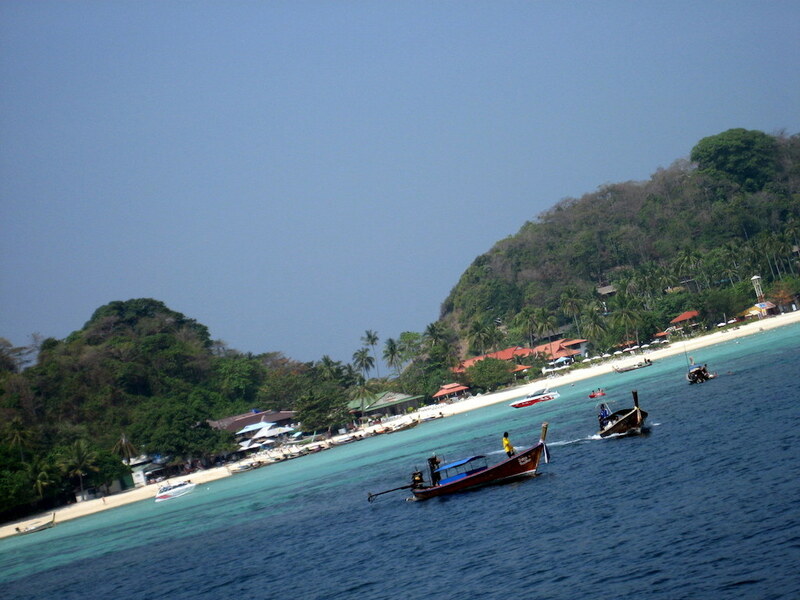 From here you need to go to the Rassada Pier so I can take the ferry service to Phi-Phi Island. The ferry service is free since we have booked the hotel in this Island. 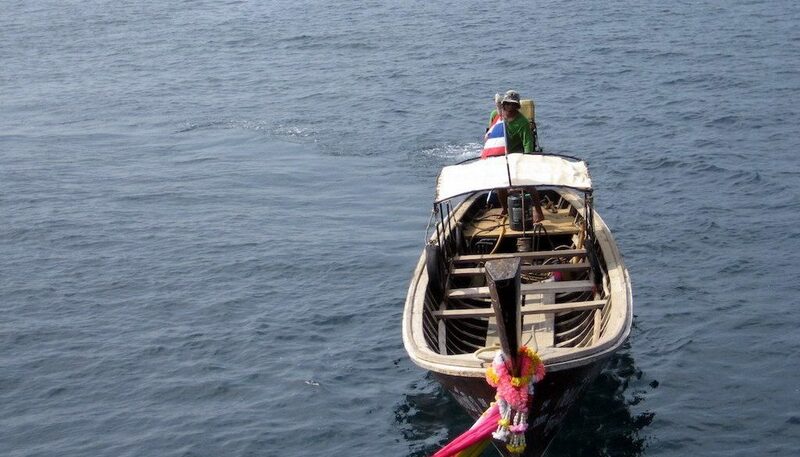 You also have other option to take a long tail boat from Tonsai Bay. We boarded the ferry. It was an AC ferry, with an open place in the top to have a good view of the sea. We decided to sit on the top to enjoy those scenes. But we forgot in the excitement that it is going to be boiling hot. 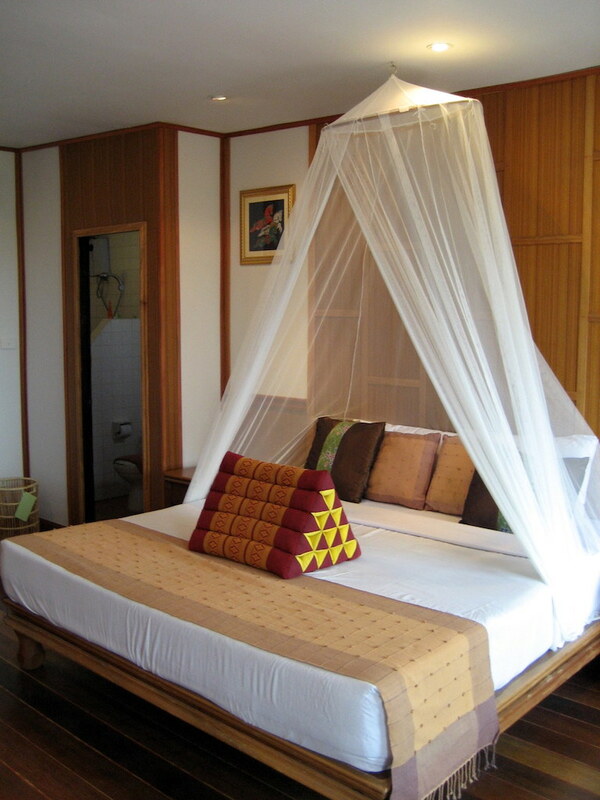 I have booked the accommodation at the Phi Phi Natural Resort hotel. It’s in the northern tip of the Island. To reach here, you need to cross the Tonsai Bay, Maya beach and then reach here. It takes about 2hrs 30min to reach the hotel. When you reach the northern tip of the Island, you will need to change to the Longtail boat since the water is shallow near the beach and these ferries can’t reach the shore. After a short break in Maya beach, it departed for Phi-Phi Island. The coconut trees along the beach, white sand, greenish water all make it a pleasant view from the ferry. This Maya beach is the place where the Hollywood movie “The Beach” was shot. Seems the movie team has sponsored some good amount of the money to enhance those forest which they have used to shoot for the movie. Once done, it moves to the Tonsai Bay. This is the main place in Island. You have many options for hotels, food shops etc. 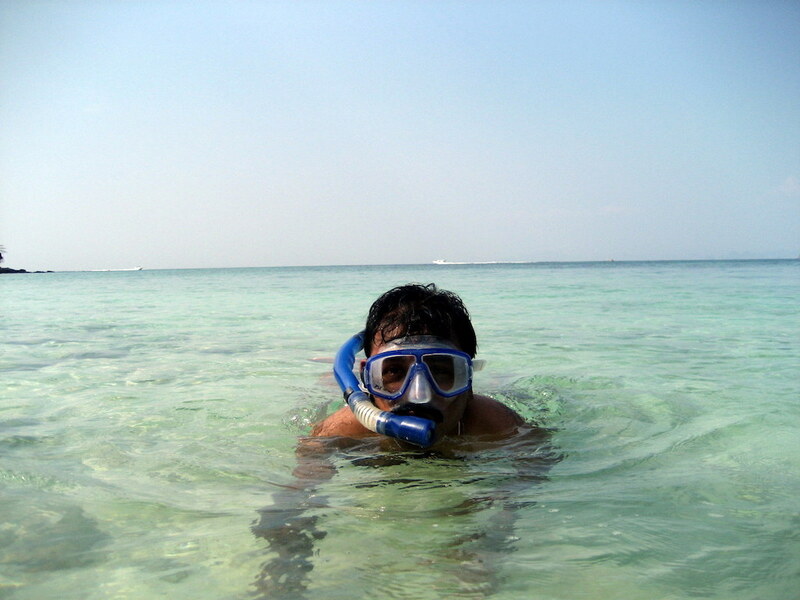 This place also has all water activities like para-sailing, scuba diving, snorkeling etc. Most tourist people stay here and hence it would always be a crowded beach. This was one of the reasons for us to book in the northern tip of the island. On the way to Tonsai bay, we can also see the Viking Cave towards your left. Unfortunately, its closed for public. I heard that they use to allow before. But for some reason, govt has stopped allowing public inside now. So, you can just peep those caves from the Longtail boat. The whole trip from the Phuket to Phi Phi Island was such a memorable trip. It cant be expressed in words or cant even do justice with pictures. Those should be experienced and felt for the actual excitement. 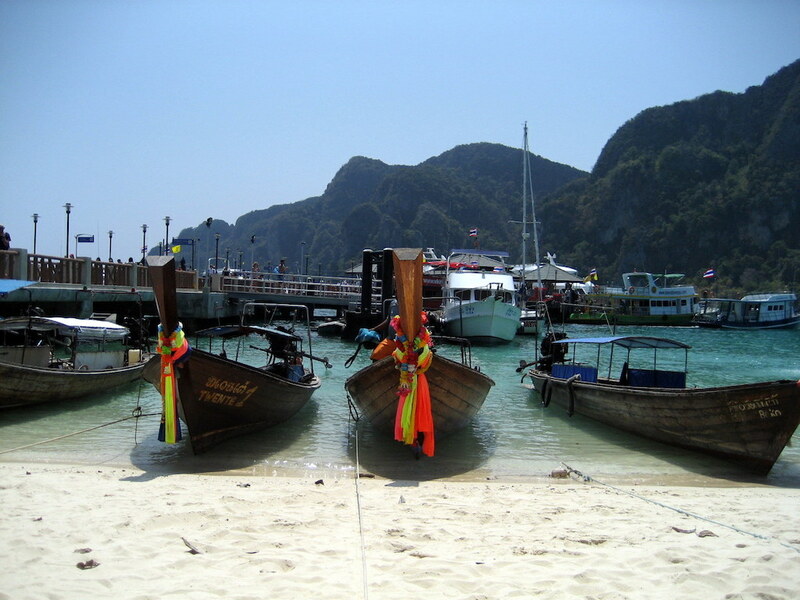 Welcome to Phi Phi Island. None of the pictures can do any justice to the actual beauty, for there is no lens equal to the one gifted by God. Yes, our EYES. 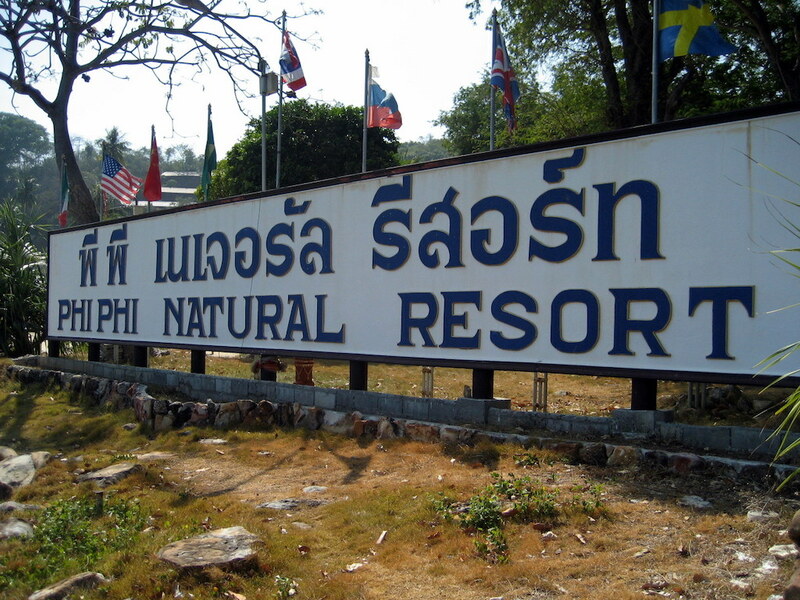 We reached the Phi Phi Natural Resort. Then the usual procedures for check-in and we were allocated the room. It was a little long walk to reach the room from the reception. They have constructed the rooms in such a way that all the rooms will get a good view of the beach. I had an excellent view of the Bamboo Island and Mosquito Island. The room was also neatly decorated! After check-in, we thought of taking some rest. But its impossible. After seeing those beautiful beaches just a few yards away, we cannot keep resting in the room. So, we refreshed immediately and left for the beach. Then my son wanted to play in the water. 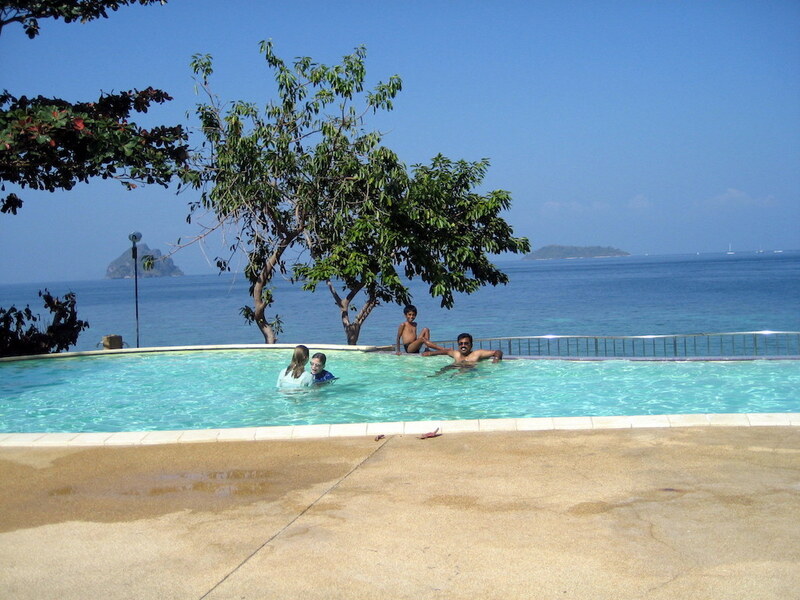 So we thought of first hitting the pool in the resort and went there. A clean and well-placed pool. The view from the pool was simply amazing. The pool is just next to the beach. Wonderful thinking and execution. Once he is bored in playing in the pool, we went to the beach next to the pool. It was fun and the water was not deep at all. You can walk in about 50-100mts and still it’s not so deep. Need is the mother of Innovation. We decided to take a stroll along the beach. We walked through the shore and found the other 3 hotels. There is no shops or store to buy anything in here. Except for the one or two shops of the Gypsies. There is a Gypsy village near there and several gypsies stay there. They said there are also people living on those hills. Was interesting to see the more from less. Yes, the innovation by these people to fight the hard wind was simply amazing. It’s just by using old pet bottles. Don’t you agree that need in the biggest motivation for innovation? We understood that life goes on whether it is Metro or any remote place or even mountains or islands. I felt guilty that with all those facilities in a metro like Chennai we still complained. 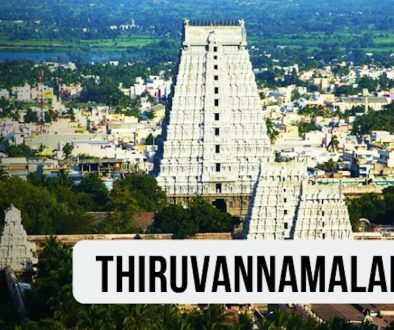 You get better realization when you travel and visit such people. They have no complaint, there are many people coming here to have a king size vacation. But these people just live there with bare minimum amenities, and still happier than any of us. Oh God, give us this happiness!!! Actually, happiness is there, I should be asking for the realization of the existing happiness. We see some people renting the J-mark and doing the snorkeling. So we also rented the snorkeling mask and decided to do some. Since we are not that good at swimming, managed to do some in the shores without going much deeper into the ocean. My son was loving a lot to play in those white sand. He never listened to anything we said. Then we thought that it was his vacation and let me do what he wants. This is something me as a kid missed. So, I made every attempt to make sure he does not feel a bit of it! These no’s is not just for us. For my son too. He was so happy to have a no homework, no study vacation. Next morning, we rented the Longtail boat again to visit the Bamboo Island after the breakfast. The ride from the hotel to this place was less than 30min. While on the way, the boat person stopped the boat in the middle and asked us to jump into the water and start snorkeling. He would have thought, why on earth these people visit these places if not for snorkeling? The beach was empty since it was little early. You have an entrance fee of 200BHAT per person to be paid for this beach. Then we went in the water and started to play. This place was a heaven of fish and corals. Even without going much deeper into the beach, we could see colorful fishes surrounding our legs in those shallow water. I could not resist taking pictures of water because of those colorful fishes. This place is for sure a heaven for guys who love snorkeling. 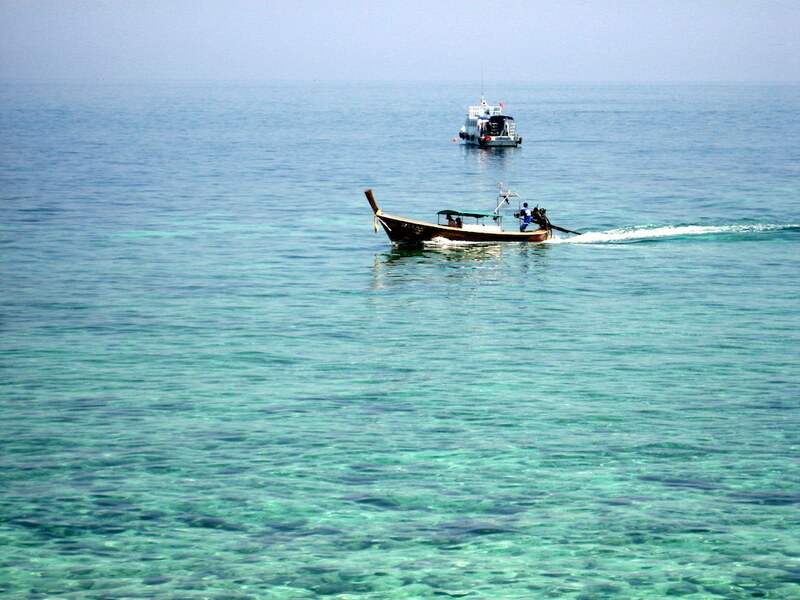 We planned to spend our day in the Tonsai bay for the day. While we were passing through, we noticed a compound wall of a school. The reason it was exciting is, we saw some innovative idea on building those wall. 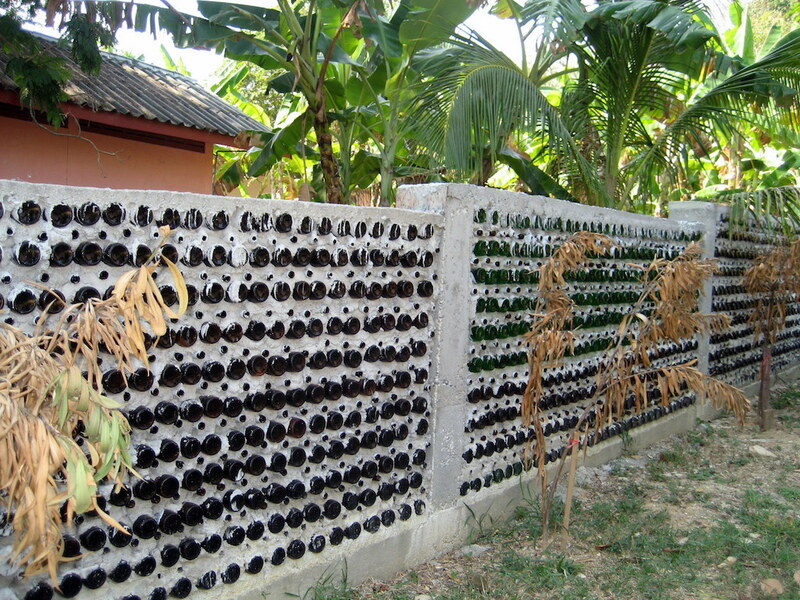 It was not built with bricks, but with bottles. Not only that wall, there was also garbage bins which were constructed using different color bottles. At night with the light, it did look awesome. Again, I remembered the biggest importance of need. 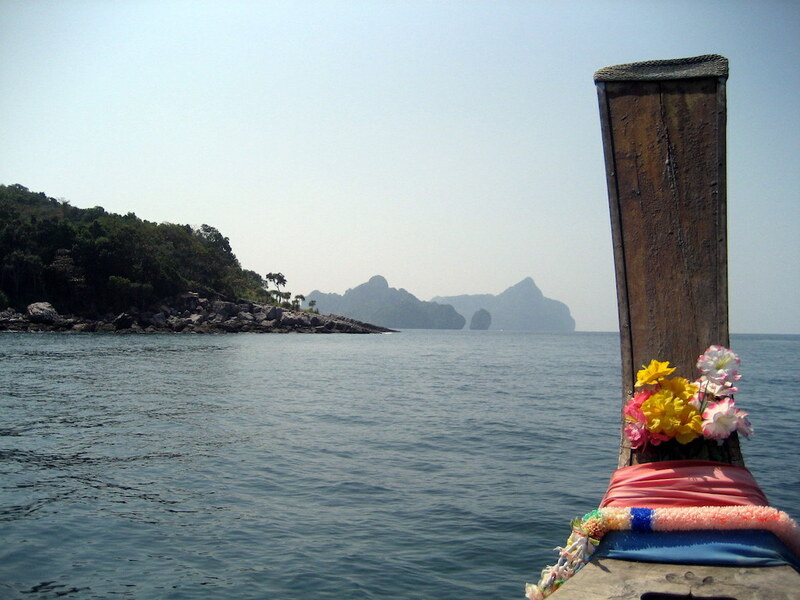 Then we rented a long tail boat and started towards the Tonsai Bay. The Pier in Tonsai bay will be on the other side of the short strip of land from the place where this long tail boat reaches. This strip was completely within the ocean during the Tsunami. 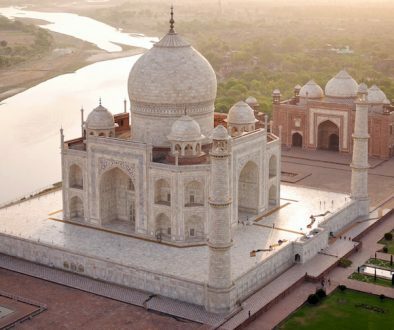 Imagine sitting in those boat with all sides surrounded by a pleasant view of water, full silence except for those tut-tut-tut sound from the boat, Wow that was something to die for. We reached the Tonsai bay in 30min. This beach was so crowded with people on the shore. We could see many water activities here like para-sailing, water scooter, rowboats etc. When you enter the street of Tonsai Bay, you will be greeted with shops on either side. It’s mostly shops selling clothes for all gender. We walked through the street and found a place where it looked like a food court. So we decided to have some stuff for the stomach. In the shop, it was very interesting to meet a character. 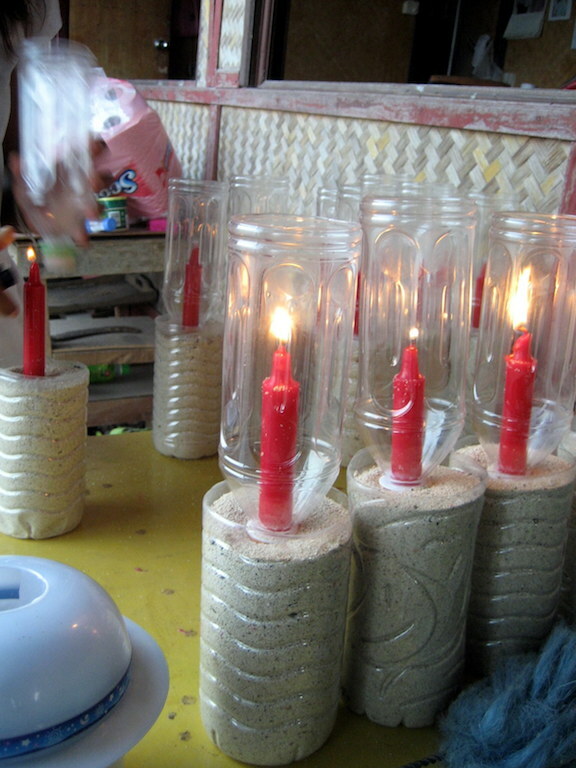 He was affected by Tsunami and his shop was all washed away. Some organization has helped him to bring it back to shape. 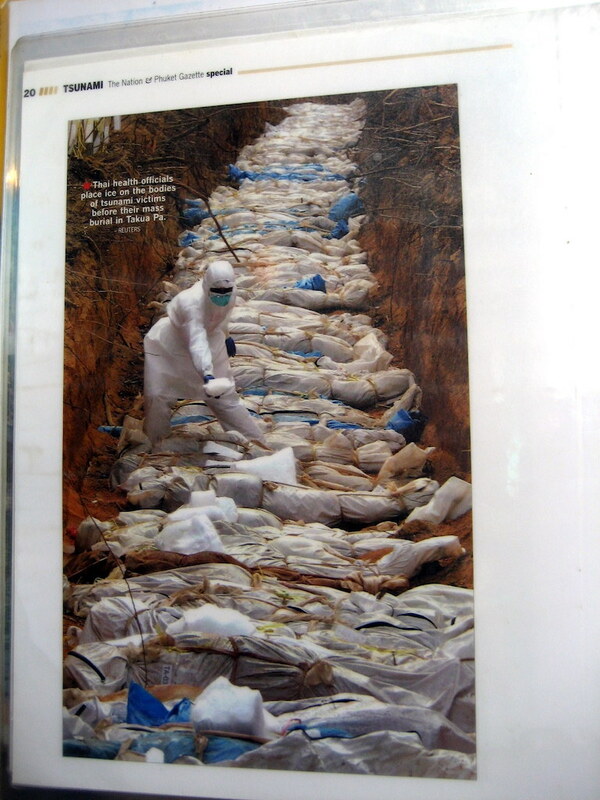 He had a file of pictures of those disasters happened in there during the Tsunami. My god, it should never happen again. Such a loss. 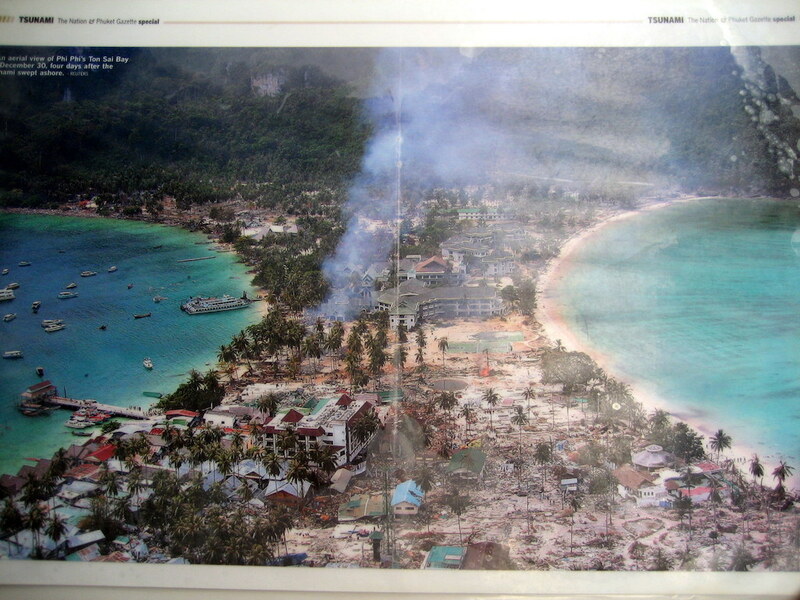 We also head that there was only one hotel that withstood the tsunami in that area and that was used as the medical center. Forgot the name. It was just opposite to this food court. It is incidents like this that enlighten you and provide lessons about life. Whatever we do, whoever you are, does not matter. All it matters is if God wants to give you a chance or not. That is why you see survivors even in such a drastic accident like Tsunami. For, God has other things for you! With such realization of life, we ended our trip to Thailand. When we were waiting for the ferry to return to the Mainland, and catch the flight, I see my kids face. After all, the vacation is getting over and I can clearly see the face of my son and kid changing. I was so happy that I took this vacation and said YES to the world and did this travel with my family. For its all the memories you carry, and nothing else. I did carry home back, not just realization from Tsunami victims, but also lots of memories of me, my wife & kid. We still perish these wonderful memories every time we look at this flying crane on the tail of the flight. With our thoughts filled with full of memories, we boarded the flight, got to the seat and one, two, three… Shut our eyes and sleeeeeeept…. It was just our body that said bye bye Land of Smiles. This is my (long) post to tell you my story of why I love the world. Thanks to the contest, it helped me in rekindling the old memories which were safely buried inside me due to all those works and busy schedules. I am happy in sharing my most cherished discoveries and travel experience through this post! Do remember to visit here to participate in the #SayYesToTheWorld contest from Lufthansa. Amazing experiences. You changed passports thrice!! Wow. Traveling really does change us, fills us with so many memories, meaning and purpose. 100% I agree. especially the ones with your loved ones, never moves out of memory! Take vacations!!! Enjoy every occasions.